TH-400YM Blade Grinding Machine_Grinding machine_ZhangJiaGang TaiHao Machinery Co.,Ltd. 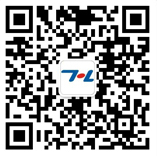 Welcome to ZhangJiaGang TaiHao Machinery Co.,Ltd.Website! This machine is easy to operate, the cutting angle ,tooth shape and tooth depth on the saw are easy to adjust, with a high precision, sharp and durable.